The first services were held in the Roman Catholic Church by the Basilian Fathers from Mundare starting 1936. The first service held in the parish’s own church was on April 12, 1953 by Fr. Euthymius Melnychuk. In 1952 a parish council was established: O. Kowalchuk (president), S. Kashuba (vice-president), V. Kowal (secretary), H. Horpyniuk (treasurer), O. Ivanets and M. Skubliak (auditors). Cantors were V. Kowal and V. Stoyko. The Ladies established their sisterhood and shortly after in 1955 joined the Eparchial UCWL. A completely new church was blessed by Bishop Demetrius Greschuk in 1986. Location: Town of Innisfree (Lot 1 & 2, Bl. 12, Pl. 8776) is located 160 km. east of Edmonton. The property was purchased from the Roman Catholics on April 12, 1951. The first services were held in private homes, and finally in 1954 the community started to build a new church. The church structure (48’ x 28’ x 10’) was designed by Micholas Fliak of Edmonton and Volodymyr Stoyko of Fidelity was the contractor. By the end of 1972, the construction costs of the last enlargement of the church were estimated at $20,000.00. The biggest donations came from Paranka Sadova and Fred Pshyk, however, every member was committed to donate at least $50.00. Location: Town of Innisfree (Lot 1 & 2, Bl. 12, Pl. 8776) is located 160 km. east of Edmonton. The property was purchased from the Roman Catholics on April 12, 1951. The first services were held in private homes, and finally in 1954 the community started to build a new church. The church structure (48’ x 28’ x 10’) was designed by Micholas Fliak of Edmonton and Volodymyr Stoyko of Fidelity was the contractor. By the end of 1972, the construction costs of the last enlargement of the church were estimated at $20,000.00. The biggest donations came from Paranka Sadova and Fred Pshyk, however, every member was committed to donate at least $50.00.Innisfree town had a diverse Ukrainian population. Some Ukrainians were close to communist ideology and some belonged to the masonry with their own hall “Ad-fellows”. The work of the Church and their clergy was very hard and great prudence was expected from the faithful. Some individuals wanted to run the parish life based not on the laws (canons) of the Church, but by adopting some rules that eliminated the whole Ukrainian Catholic structure of administration. Our Catholic community of Plain Lake began with the coming of the first Ukrainian settlers from Ukraine who settled in this area in 1900. We did not have to wait long for our priests to follow. The first Basilian Fathers arrived in the Beaver Lake area in the early part of 1903 and began visiting the different areas where the Ukrainian settlers were making their homes.The first Basilian Father Missionary to visit our area was Fr. Platonid Filas. Maksym Babycz donated 30 acres from his quarter to the parish, and in 1904 Fr. Filas blessed the land situated on the north east quarter of S. 16, T. 53 R. 12 west of the 4th Meridian. This land had been surveyed for a cemetery and the parish church. Distance: 26 km. from Lavoy and from Two Hills 19 km. With the helpful suggestions of Fr. Filas we chose to name our Church and Parish “The Blessed Trinity Ukrainian Catholic Parish of Plain Lake Alberta. Our parish was commonly known as Twelfth Ranch (“dvanadchiatyi rench”). Shortly after this, Fr. Filas received news that he was chosen to be the Provincial Superior of the Basilian Fathers in Ukraine. He left Canada in January of 1905. While our Parish members were raising money to build the church, Divine Liturgies were celebrated in the home of John Grycan for the first three years. Later they were celebrated in the home of John Predyk where the priests often stayed. During the time that Father Naucratius Kryzanowsky was serving our Parish, our Parish members completed building the Church in 1910. The main carpenter was Bill Hlushak. The total cost of the Church was $ 300.00. Very soon this church became too small for our needs and a new Church – the present Church – was built in 1926 and 1927. The cost of this Church was $ 10,000.00. This time the main carpenter was Harry Osiecki of Vegreville. Father Josaphat Tymochko (Father Josaphat Tyrkalo’s great uncle) celebrated the first Divine Liturgy in this new Church. 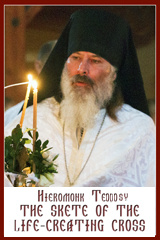 Bishop Basil Ladyka, OSBM, blessed the Church in 1932 when he celebrated the first Pontifical Divine Liturgy. Father Nicon Horechko, OSBM, and other Fathers and Deacons from Mundare assisted in the celebrations. Through the generous donations of our members, in 1937 Mr. Peter Lipinski painted the interior of the Church and installed the Icons for $ 2,000.00. By this time too, we were able to purchase all the vestments and other articles needed for the Liturgical Services. In the late 1960’s the Parish purchased a diesel furnace which is still used today. Before that John Predyka, John Warawa or Harry Laniuk would make a fire using wood and coal to warm the church in the winter months. Sometimes, when the Parishioners would arrive for the Service there would be no fire, only a full church of smoke. In April of 1962, Mrs. Mary Warawa and the late Tony Sawchuk organized the Parishioners for washing the interior of the Church. This made the Church look like new again. A new floor covering was put into the Church in July of 1993. While the exterior of the Church was repainted in 1954, then in 1974 and again in 1988, finally in 1996 the Church received vinyl siding. Since the Church was built we have had to re-shingle the Church roof in 1969 and again in 1995. In the early years the priests stayed at John Predyk’s. He had built a special home for the priest to stay in. This house still stands to this day. Later the Fathers stayed at John Hayduk’s then at Joseph Kostyniuk’s and after that at John Stepushyn’s. The Basilian Fathers helped us with all of our spiritual needs. The Fathers baptized our children, officiated at our young couples weddings, visited and blessed the sick, listened to our confessions, blessed our homes. They also celebrated the Divine Liturgies and led us in spiritual renewals – missions, and during the summer holidays the brothers and deacons taught catechism with the sisters, which was held in the Haydak home. When the hall was built, catechism was then taught in the Hall. The Sisters Servants of Mary Immaculate taught Catechism. When the sisters came to teach, they stayed at John Stepushyn or Steve Chernetski’s place. During the last one hundred years there have been many priests that have provided for the spiritual needs and moral leadership of our Parish. Oftentimes, as children, we would be going to Church and asking each other which priest would be visiting us this time. In the early years, the Basilian Fathers from Mundare came, among them were: Fathers Plantonid Filas (1902 – 1905), Naucratius Kryzanowsky (1905 – 1907 and 1909 – 1932), Basil Ladyka (1914 – 1929), Sozont Dydyk (1921 – 1929), George Zydan (1924 – 1926), Josaphat Tymochko (1924 – 1931), Porphyrius Bodnar (1925 –1958), Sophron Dyakowich (1926 – 1928), Damascene Popovych (1929 – 19 ), Basil Kamenetsky (1929–1935 & 1942–1943 & 1949–1952), Nicon Horechko (1931 – 1933), Basil Kamenetsky (1931 – 1935), Paul Hewko (1931 – 19 ), Theodozy Dobko (1932 – 1934), Neil Savaryn (1932 – 1943), Mark Romanowych (1933 – 1944), Benjamin Baranyk (1933 – 1941), Matthew Sianchuk (1934 – 1938), Dionisius Dzygolyk (1935 – 1936), Innocent Rychkun (1935 – 19 ), Martyrius Vincentaylo (1937 – 19 ), Markian Pasichnyk (1938 – 19 ), Bernard Dribnenky (1942 – 1943 and 1944 – 1946), Sebastian Kurylo (1943 – 1945), Victor Soroka (1944 – 1950), Myron Daciuk (1945 – 1948), Vital Pidskalny (1947 – 1948), Jerome Chimy (1948 – 1956). After World War II, with the coming of married priests from Ukraine who were under the direction of the Bishop – we call them eparchial priests – Bishop Neil Savaryn with the help of the Basilian Fathers started to place these priests into parishes. A home was purchased in 1950 in Two Hills and with that the district was formed consisting of Two Hills, New Kiev, Plain Lake, and Hairy Hill. The following fathers served our area: Volodymyr Tarnowsky (1950 to 1956), Bohdan Hanushevsky (1956 – 1963), Peter Lytwyn (1963 – 1978), Ivan Makuch (1978 – 1997), Richard Zuback (1997 – 1998), John Sembrat, OSBM (1998 – 1999), Deacon Michael Schaplowsky (1999 – 2000). Some of the fathers who have served us since 1998 are: Myron Chimy, OSBM, Bishop Lawrence Huculak OSBM, David Motiuk, Paul Chomnycky OSBM, Josaphat Tyrkalo, OSBM and Father John Sembrat, OSBM. Since 2006 Fr. Bohdan Nahachewsky has been pastor of the parish. As you can see, in the hundred years of our Parish we have had seven priests serving us who then were appointed bishops: Bishop Basil Ladyka, OSBM, Bishop Neil Savaryn, OSBM, Bishop Jerome Chimy, OSBM, Bishop Myron Daciuk, OSBM, Bishop Lawrence Huculak, OSBM, Bishop David Motiuk, and Bishop Paul Chomnycky, OSBM. We also have a son of one of our pioneer families who was also appointed Bishop, Bishop Severian Yakymyshyn, OSBM. It is an honour to have such intelligent, talented and loving Priests serve our Parish. Our Parish Hall was built in 1938. In the 1950’s we added the new kitchen with running water and the Dining Room. This building helped our parish become a center within the community. Over the years we have held socials, wedding banquets and memorial meals in the hall. Many thanks go to the ladies and men that have helped with these functions for the good of our parish and parishioners. Our Parish Cemetery is the resting-place for approximately 225 Parishioners who have passed away. The earliest grave marker is from 1905 and there are many unmarked graves since the families could not afford stone markers. Over the years the wooden crosses have rotted away and have not been replaced. Nestor Humeniuk built the beautiful and unique fence protecting the cemetery in the late 1980’s. Various people contributed financially towards this project. The Spruce trees were planted in 1995. Each year our Parish sets aside one Sunday following Easter, usually in May, to remember the Parishioners who have passed away. On that Sunday, we usually have many members of former parishioners making the journey back to their roots. Today as we celebrate our 100th Anniversary of the Parish, we are very fortunate to have with us Bishop Lawrence Huculak, OSBM and Bishop Severian Yakymyshyn, OSBM. We also thank Father John Sembrat, OSBM, for helping us prepare for this occasion. During these past one hundred years we have been blessed with many fine Priests, Brothers and Sisters serving the spiritual and moral needs of our Parishioners. They have sown the seeds of Faith, Hope and Love. They have brought the “Light of Christ” and the joy of the Lord into the various aspects of our Parish life. The Fathers, through their sermons, have encouraged us to gain a greater understanding of our Ukrainian Catholic Church and a deeper love of our faith. The Brothers and Sisters have helped our young people come to know and love the Church, and helped us make our first steps in our relationship with our Heavenly Father. May God reward the Basilian Fathers and the Sisters Servants of Mary Immaculate, as well as our Bishops, with blessings one hundred fold for their excellent work in God’s vineyard. May the Blessed Mother continue to intercede for you and your communities before the throne of our Heavenly Father for the grace and wisdom needed, so that you may continue to spread the Good News and the Love of Jesus. And may God bless every one here present in return for your participation and prayers for the good of our Parish. The beginnings of the Two Hills parish go back to 1937. 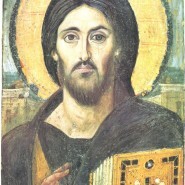 The first Divine Liturgy was celebrated in 1932 by Fr. Basil Kamenecky, OSBM, in a private home. The first Parish council was elected in 1943 in the presence of Fr. Volodymyr Shewchuk, OSBM, from Derwent: Petro Hryciw (president), Petro Samuil (secretary) and Ivan Tomyn (treasurer). For $400.00 a school was purchased from the United Church that served for many years as the parish church in honor of Sts. Volodymyr and Olga. In 1954 a one-and-a-half acre of land was purchased for the cemetery. A decision was made to build a new church on April 20, 1959. The ground was blessed by Bishop Neil Savaryn on May 14, 1960. The parish president at that time was Mykola Myskiw. The corner stone was blessed by Fr. Bohdan Hanushewsky, Fr. John Cherkawsky from Derwent and Fr. Dmytro Hnat from Glendon. On June 4, 1972 Bishop Neil Savaryn blessed the new (second) church (75’ x 34’), worth approximately $90,000.00.